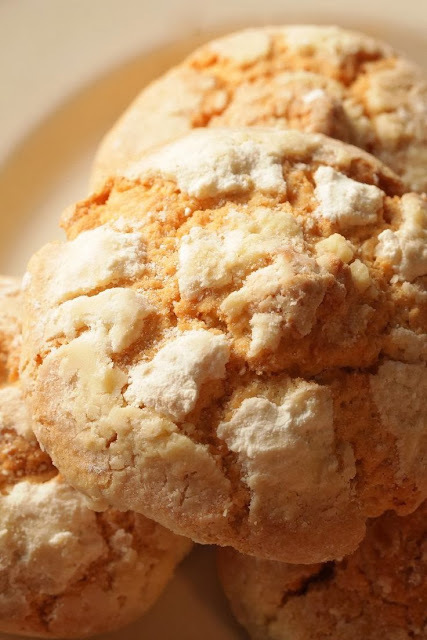 If you like Gooey Butter Cake you will love these cookies. You can't stop eating them,, These are delicious and great for tailgating! In a medium bowl, cream together the cream cheese and butter. Stir in the egg and vanilla. Add cake mix, and stir until well blended. Roll into 1inch balls and roll the balls in the confectioners' sugar. Place 1 inch apart onto an ungreased cookie sheet.